K-pop is an art form at the intersection of music and fashion. These groups steal the hearts of millions around the globe with their music while showcasing their most stylish looks. Following the model of megaband BTS, several K-pop groups have emerged and popularized this genre of music and the colorful aesthetic of its performers. The boy band Astro is relatively new to the K-pop scene and they’re already making a name for themselves in the world of fashion. Astro formed with six members in Seoul, Korea in 2016. After releasing their first single “Hide & Seek” from their debut EP, Spring Up, they were named by Billboard as one of the best new K-pop groups of the year. But their early success wasn’t achieved by wearing just anything. 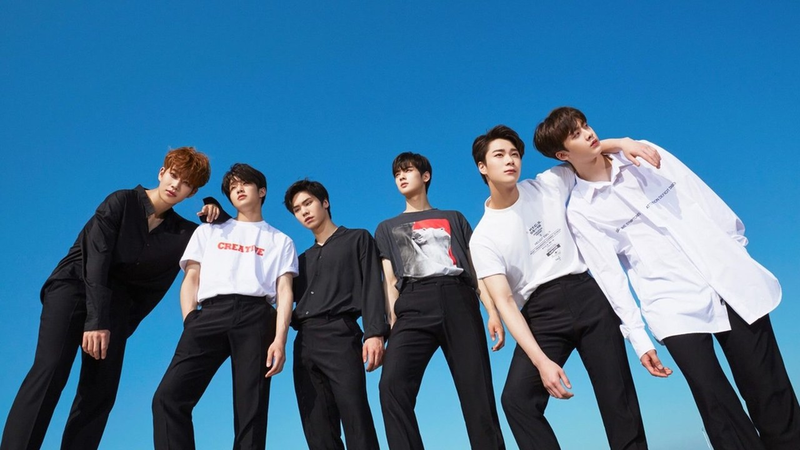 Like most other K-pop boy bands, Astro sports a clean aesthetic. Despite their ever-changing wardrobes, the group always looks polished and cohesive. Astro embraces graphic tees, a neutral color palette and street style. For this group, stylized pants and cool pairs of sneaks are must-haves. Astro maintains their sophisticated look in music videos too. In their 2017 music video for their song “Baby,” the group members sport ties, turtle necks and graphic trees. Their fusion of grey monochrome suits with pastel highlights is easy on the eye. Within K-pop groups a certain unity must be maintained, but individuality is also important. Astro follows this pattern with each member following a pattern while also expressing their own identity and personal style. K-pop stars have also impacted the world of beauty. Perfectly sculpted haircuts, vibrant dye jobs and dramatic makeup are characteristics sported by most of these groups. Astro, in particular, has their own methods for getting smooth, porcelain skin. When they sat down with Allure back in October, band member and rapper Rocky revealed that he achieved his “glass” skin look by putting contact solution over his face. He also admitted that after using a foam cleanser, he applies a toner to even his skin out. Another member, lead vocalist Sanha, washes his face with vinegar. However, his bandmate, lead dancer Moonbin, only concerns himself with having a good moisturizer, like lotion. Astro is also particular about their makeup. Moonbin likes to apply his lip tint at the center of his lips, while Rocky and Sanha prefer to put it all over their lips. But they can all agree that makeup is a great tool of expression and main vocalist MJ says it’s a confidence booster too. "Whether you bring a song or album in front of the audience, I think [hair and makeup] is the best way to express ourselves," member Jin Jin says. The group feels the pressures of having to be beautiful on a world stage. Cha Eun Woo is a vocalist who ventured out into acting, so he has expanded his beauty repertoire by straightening his hair, applying makeup and utilizing toner. "Since I'm a celebrity, I want to be very pretty on screen," Eun Woo says. To be a K-pop star is to be both an artist and a style icon. The gig presents a lot of pressures, meticulous skin-care practices and high expectations. But Astro seems to be getting on just fine. Right now, they are in the midst of a world tour showing off their musical talent and style.